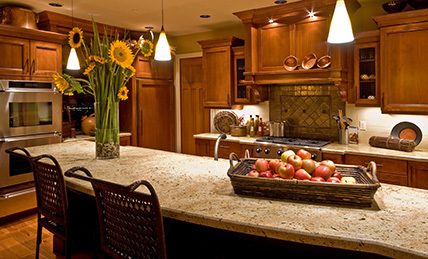 Since 1988, homeowners looking to upgrade their kitchen countertops in Auburn Hills, MI have consistently turned to All Kitchen & Bath for the best countertop installation services in the area. Our team of installation experts has the tools, training and experience needed to install custom countertops, stone backsplash coverings and even kitchen flooring. From the quality of the tools we use to the depth of the training we offer, our dedicated service technicians make sure to install the best granite, quartz, quartzite, marble, and limestone countertops in Oakland County. Want to Love Your Kitchen? Upgrade your Countertops and Backsplash! Stone is a unique material for countertop installation, offering a timeless elegance and beauty that even the finest woods, laminates and stainless steels simply cannot match. The source from which the stone originates is important. Higher-quality granite from reputable stone fabricators will outperform and outlast cheaper options on the market – and that’s where we come in. We understand that when installing stone countertops in your home, you want to enjoy the very best and most durable materials you can find. Our talented laborers work hard to make sure every installation is completed to the very highest standards. Purchasing higher-quality stone from your preferred local quartz, marble or granite fabricators will ensure the very best results for your kitchen. Do you have a particular custom design in mind for your countertops? All Kitchen & Bath can help! We specialize in installing custom stone countertops using high-quality materials, and we work with you during each step of the design process from start to finish. We will help you choose the right stone, marble or quartz for all of your kitchen remodeling needs. Whatever design you have in mind, our team will be committed to making it a reality! Our work isn't just limited to kitchen countertop installation. We also specialize in tile flooring and tile backsplash installation. With a great track record for installing granite backsplashes and tiles of all kinds, we ensure quality and long-lasting results that you can rely on. Your kitchen's stone backsplash is an important element of the room's overall design. From tile counters to backsplash options, our expert tile specialists will work around any floor obstructions or wall outlets to cover any area, all in the tile of your choice. Effective tile floor installation requires diligent, hard work in order to make sure the tiles fit snugly and don't move or break loose over time. At All Kitchen & Bath, we have a team of tile experts that is dedicated to replacing outdated and damaged tiles in Oakland County homes, which completely transforms the look of kitchens. Whatever your budget is, we can design and install the perfect countertops for your kitchen with the material of your choice. For your next kitchen upgrade, let our professionals provide you with all of your kitchen needs! 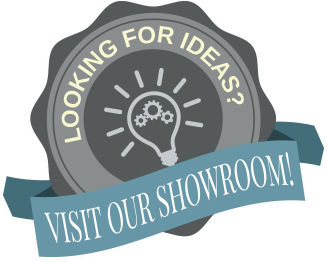 We’re passionate about what we do and we’re dedicated to exceeding our customer’s expectations, so if you need help installing cabinetry or other small upgrades, let us know! Contact us today to get started on your next kitchen remodel!